An inquest into the death of Christian Scott Palmer, aged 20, from York, is due to open next week. Police say they are supporting the family of a man whose body was recovered from the River Ouse yesterday. The man, thought to be in his early twenties was seen falling into the river in the early hours of the morning. Passers by tried to throw him a life ring, but he was swept away by the current. 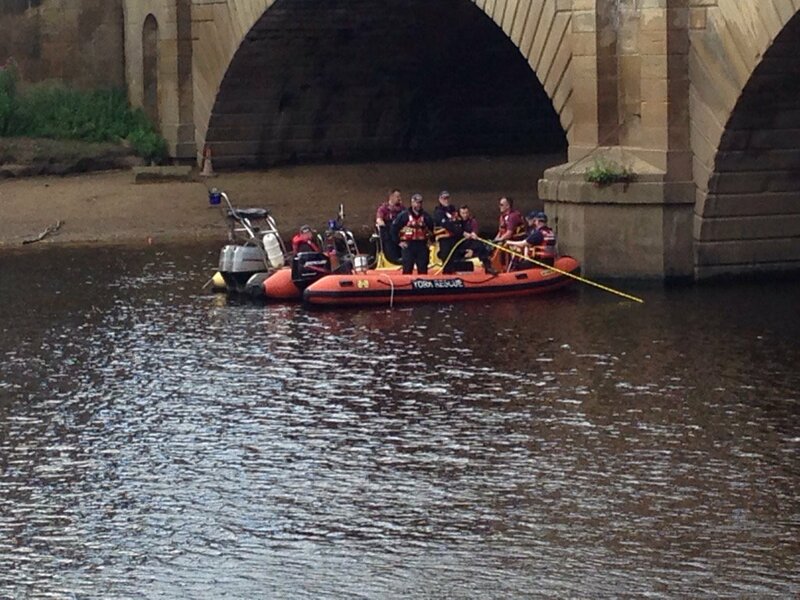 Police searching for a man who fell into the River Ouse in York have recovered a body from the water. A flood alert has been issued by the Environment Agency for the tidal River Ouse. Low lying land and roads will be affected first. People in the area are being warned to be prepared. The Environment Agency has issued a Flood Alert for the Upper River Ouse including the city of York. Flooding is possible for riverside footpaths and low-lying land in York and to the south as far as Naburn Lock, including Kings Staith, Queens Staith and South Esplanade . Flood alerts have been issued for the Upper River Ouse and the tidal River Ouse with more rain forecast overnight. The Environment Agency warned flooding is possible on riverpaths and low-lying land in York, including Kings Staith, Queens Staith, and South Esplanade. The current river level in York of 1.8m could rise to 2.5m by tomorrow morning, but this is not as high as levels seen earlier this week. Campaigners in York show Tyne Tees just how dangerous the Ouse is, and how much difference a boat would make. Eight people have died in the region's rivers in the last year alone. A mother whose daughter drowned in the River Ouse in York is supporting a new rescue charity that she hopes will prevent other families from suffering the same loss. Jackie Roberts has been campaigning for better river safety since 20-year-old Megan's death. She is welcoming the plan by York Rescue Boat to raise money for a patrol boat, as well as awareness of the potential dangers of waterways.